Time to shop! Find your favorite product, check the latest collection & don’t miss out the best discounts with Onea! Non U.S. Customers: Order through our Cratejoy Shop! You’ll receive a monthly Sooni Pouch which includes 8 Full Size or Deluxe Sample Size K-Beauty Products. Includes a variety of skin care products, facial masks, makeup products, hair care products, and beauty tools. Over $100 worth of products every month! You will be charged for a 3 month subscription for Sooni Pouch today. The following payments will be processed at or around the same time of every 3rd month. For example, if you join December 15th, your payment will be processed March 15th. Please note that if the date of your payment lands on a non-business or holiday, the processing time may take longer. You will receive an email when your payment has been processed. 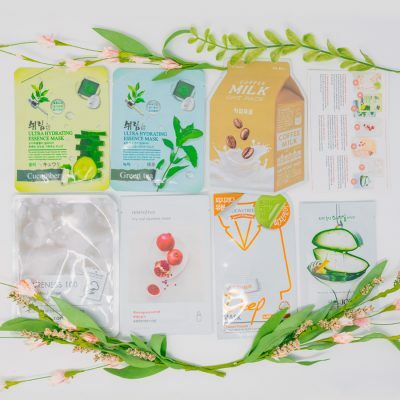 Each Sooni Pouch is shipped with no additional charge for U.S. customers on the first full week of the following month. 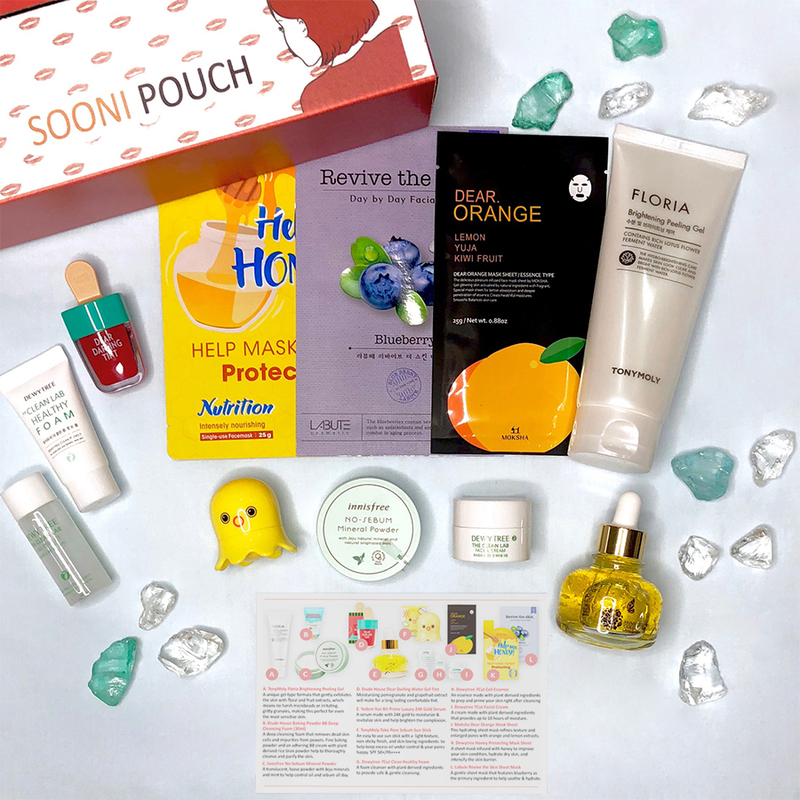 You will receive an email with your tracking number when your Sooni Pouch is shipped. We currently do not provide international shipping; we hope to add international shipping in the future. 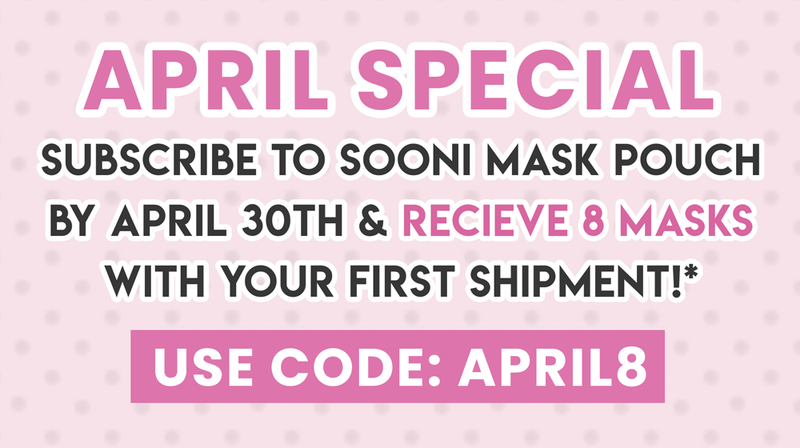 *When you prepay for a 3 month subscription, you will receive 1 free Sooni Mask Pouch with your first shipment! This gift is offered for the first cycle only and not for subsequent renewals. 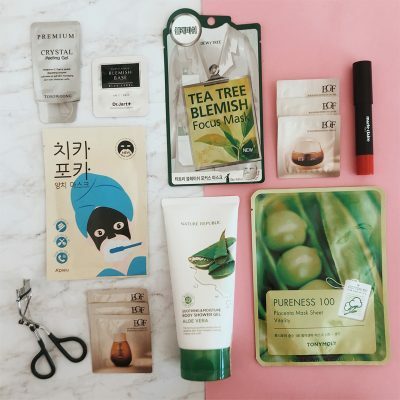 *Offer is only valid for Sooni Mask Pouch monthly subscriptions with a start date between 4/1/19 and 4/30/19. Offer expires 4/30/19 at 11:59 EST. 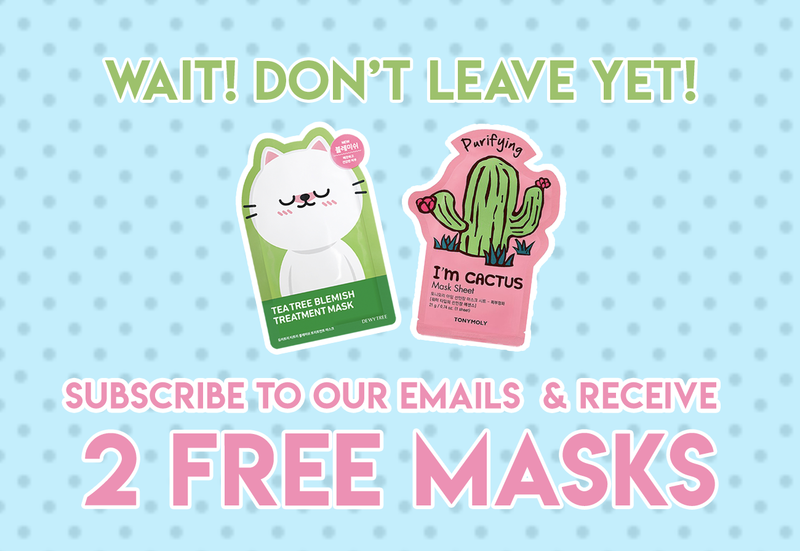 Subscribers who have cancelled their subscription prior to 3/11/19 and resubscribe between 4/1/19 and 4/30/19 can also redeem this offer. Cannot be combined with other offers. Must use coupon code at checkout. Before you cancel, please tell us why you want to cancel. Your feedback is important to us.